The Sochi Winter Olympic Games have begun and the 2010 Games hosted by Vancouver and Whistler are now officially part of history. The Olympic dream runs very deeply in Whistler, however. So deeply that it was the driving force behind the ski resort’s creation in the 1960s. In February of 1960 Squaw Valley, California hosted the Olympics and Canadian Olympic Committee (COC) chairman Sidney Dawes was there. In a press conference Dawes suggested that the Vancouver region should be studied to determine its potential as a future Winter Games site. 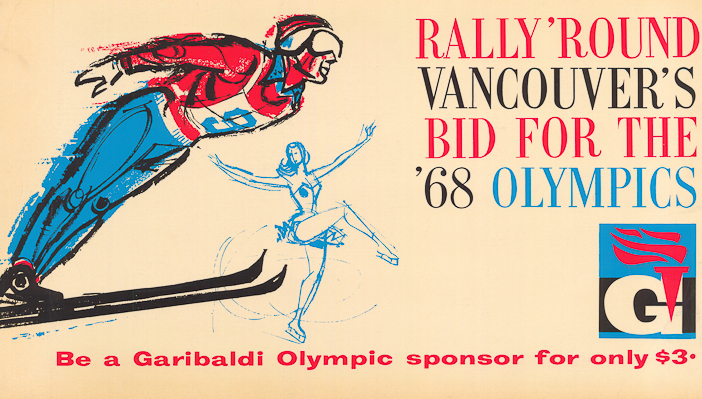 Poster for Vancouver’s bid for the 1968 Olympic Games. Courtesy Whistler Museum. 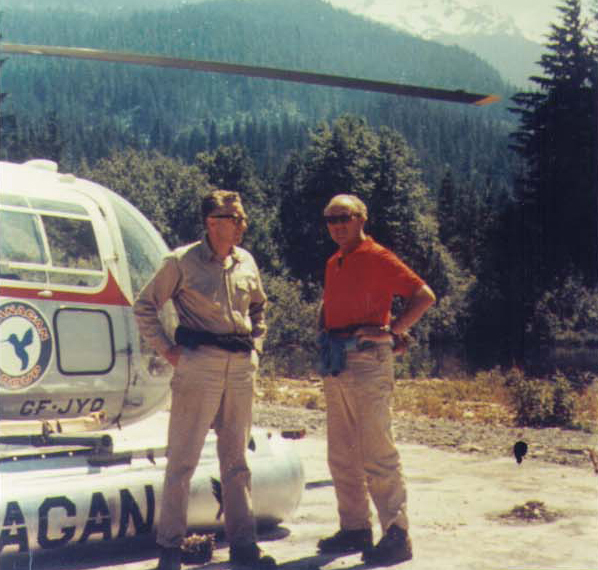 This idea piqued the interest of a number of Vancouver businessmen and Glenn McPherson, who owned Okanagan Helicopters, offered Dawes a free helicopter ride to scout the area. This was a time when helicopter service was extremely expensive and Dawes jumped at the opportunity. 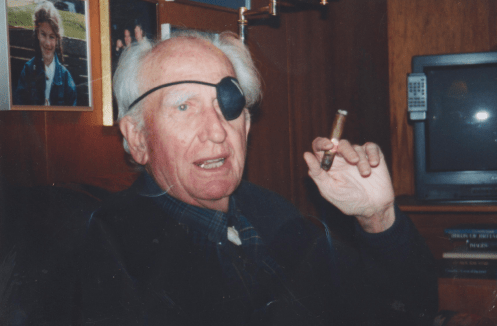 Glenn McPherson in his later years. Photo courtesy Whistler Museum. 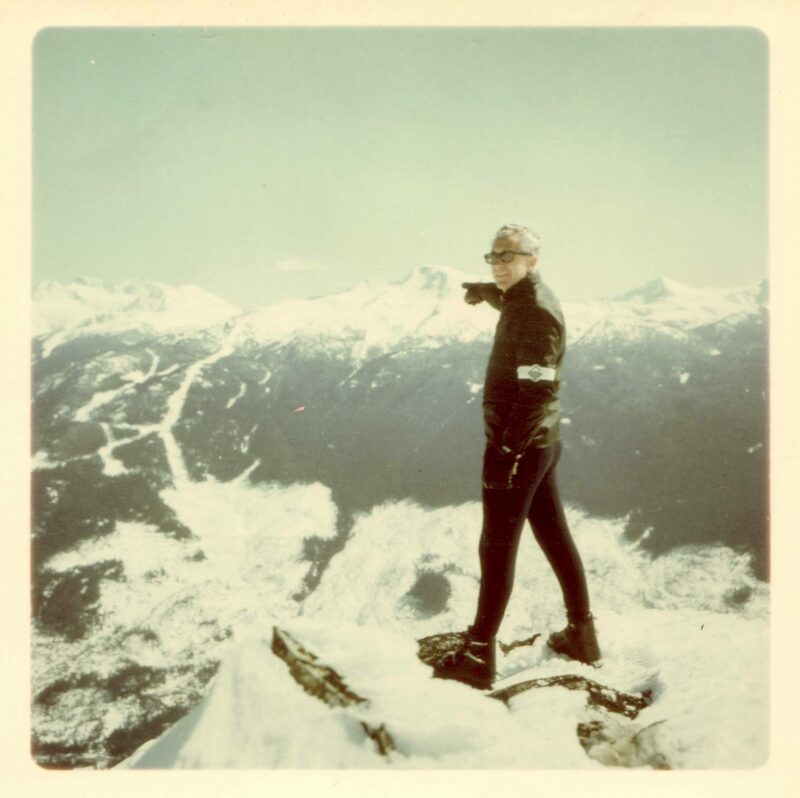 The newly formed Garibaldi Olympic Development Association (commonly known as GODA) went on to hire German-American ski champion, coach, and ski-resort designer Willy Schaeffler to assess the feasibility of creating a ski-hill. Franz Wilhelmsen, President of Garibaldi Lifts (left) and consultant Willy Schaeffler ready for ascent on Whistler Mountain, spring 1961. Photo courtesy Whistler Museum. Schaeffler was impressed; in his report he claimed “we must realize we are speaking here of a major European-type ski area.” At this time, when North American skiing lagged far behind that of Europe, such an ambition was almost laughable. However, looking back now, Schaeffler’s vision certainly played out. The bid for the 1968 Games never succeeded. The COC chose Banff as Canada’s nomination and they eventually lost to Grenoble, France. However, the seeds were planted and the ski area was built regardless. The dream of an Olympic Winter Games in Whistler never went away, resurfacing five times before meeting success. In 2010 when it finally hosted the Winter Olympic Games, Whistler was truly fulfilling its destiny. Franz Wilhelmsen pointing to the newly developed Whistler Mountain. Photo courtesy Whistler Museum.